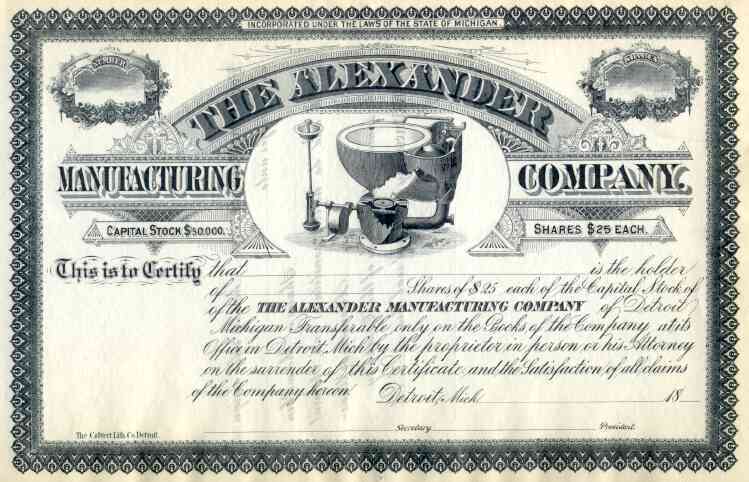 18__ Alexander Manufacturing Co Stock Certificate. Interesting scripophily certificate of early indoor plumbing manufacturer with vignette showing a cutaway diagram of old toilet. This antique stock certificate is in EF condition.